BMW has placed Gerhard Richter in charge of development of its new Gran Turismo model, which is based on the popular CS concept car. Richter has worked on BMW's high-performance "M" cars since 1982. His mission — to make the CS a production reality, says Automotive News Europe. While his past work has focused on performance only, this project will involved a careful fusion of "M" characteristics with above-7-Series luxury. While there have been rumors the car might be called 8-Series, BMW's CEO Norbert Reithofer has referred to the vehicle as the Gran Turismo. Regardless of its name, the so-called four-door-coupe will be longer, wider, lower, and more expensive than the next-generation 7-Series luxury sedan on which it is based. Leftlane sources say production will begin in summer or fall of 2011. Marketed as a 2012 model, the vehicle is likely to be first shown to the public at a major auto show in roughly three years. Supplier sources indicate that reverse-hinged rear "suicide doors" are being studied for use on the production model, even though the concept car did not have this feature. 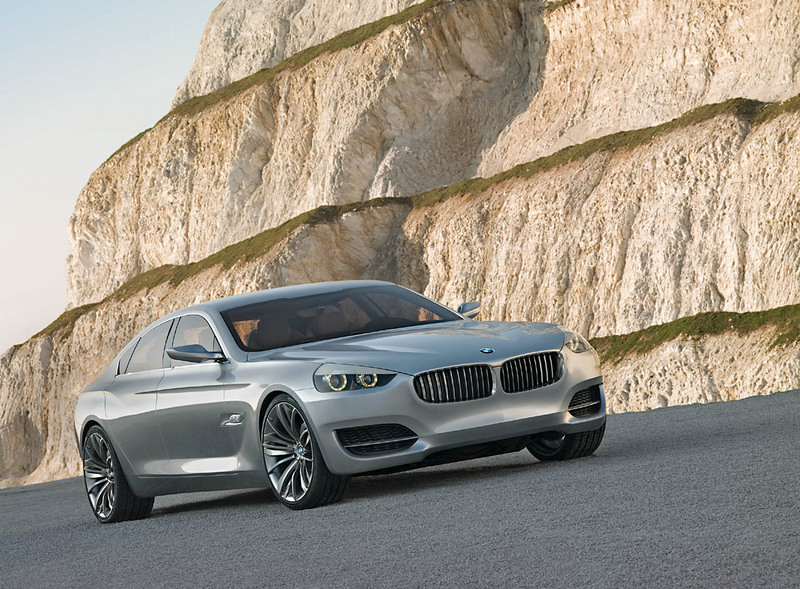 Engines are expected to match the next-gen 7-Series. Pricing will be considerably higher than the Mercedes-Benz CLS-Class, but lower than the Aston Martin Rapide. The Gran Turismo's nearest competitor might end up being the Porsche Panamera.